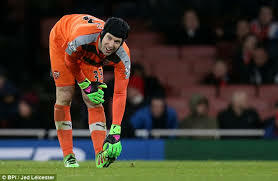 Arsenal goalkeeper Petr Cech has told the club's official website that the number of long-term injuries the North Londoners have suffered this season was the difference between sustaining their title challenge and falling away. The Gunners were virtually neck-and-neck with Leicester City at the top of the Premier League table early in 2016 before slipping away from the leaders with a run of poor results in the new year. 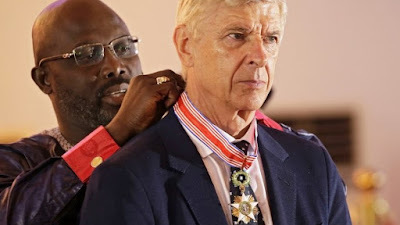 Between 3 January and 18 March, Arsene Wenger's side won just two of their nine league matches, and though they have recovered their form to go eight unbeaten since the end of that period, it did irreparable damage to their title bid. Injuries have undoubtedly taken their toll. Alexis Sanchez, last season's brightest star for the club, missed the entirety of the hectic December period and most of January, and then took seven Premier League matches to find the net upon his return as he struggled to get back up to speed. Meanwhile, Jack Wilshere has missed virtually the entire season, only making his first appearances in recent weeks, whilst Danny Welbeck has managed just 16 games after missing the first six months of the campaign, and Santi Cazorla has not played since November. Cech believes it is those long-term absences which have hindered his side above all else this season, not only because they have missed the individual players but because of the toll it has taken on the squad in general. The veteran stopper told the club's website: "If you look at the number of injuries we had, it is not a big number compared to previous years or compared to other clubs, but unfortunately for us, every time we've had an injury, it's been long-term. "We had a great squad at the start of the season. Danny [Welbeck] was coming back, Jack [Wilshere]was coming back, and it was a very strong group. Unfortunately, Jack got injured right before the start of the campaign, Danny had the same problem, Tomas [Rosicky] had the same problem, and these were all long-term injuries. Santi [Cazorla] and Alex [Sanchez] became long-term injuries too. "If you have so many important players out with long-term injuries, it does give a chance to everybody else, but it can hurt you at certain times. If you have seven games in 21 days and your opponent has had six days off to prepare, you don't have the advantage of rotating players." However, though Cech claims injuries to be the key factor, other things have contributed to Arsenal's slump earlier in 2016, such as Olivier Giroud's nearly four-month-long stretch without a goal. The Gunners can leapfrog rivals Tottenham Hotspur and finish second on Sunday if they beat Aston Villa at home whilst Spurs lose at relegated Newcastle United. Did injuries really cost Arsenal the title this season? © 2016 - 2018 ~ Arsenal Parrot || All Rights Reserved.